July’s Sinful Sunday was another great success. 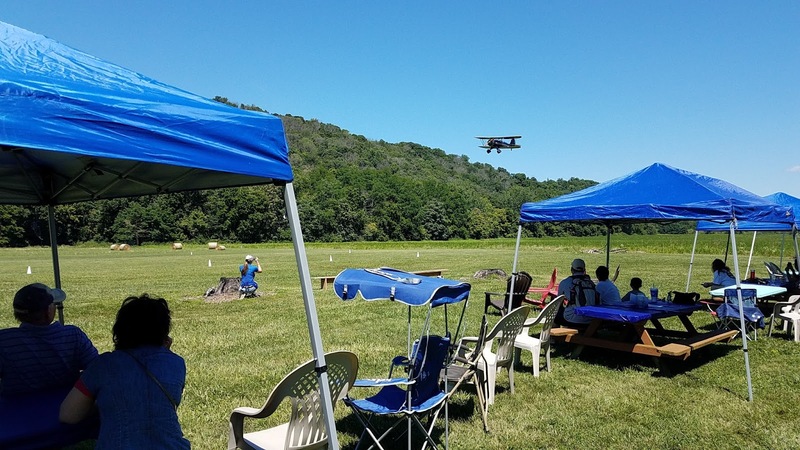 Thanks to the Bluegrass Chapter of Women in Aviation, the 99s, Mike Grecco and Mike Korff, the event was a hit. Behind it all, doing the brunt of the organizing, was Crystal Korff. A sincere thanks to all of them. When Sinful Sundays restarted, we decided other groups would run them or the fly-ins would not happen. The Women in Aviation and the 99s were among the groups who stepped up to volunteer. When they did, I had no idea how it would go. My interaction with either group is so insignificant, their commitment to such events was an unknown. Then they showed up in full force and did a wonderful job. That recognition is normally where I would end. This time there’s more to tell. July’s Sinful Sunday was fun to me in many ways. 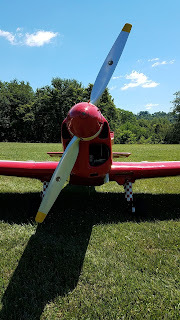 As usual, it was great to see all the planes and the people on the field. Yet, among this crowd was a unique group of attendees I was surprised and happy to see. 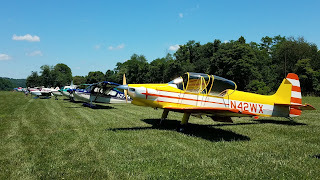 There was the lady I flew with at Atlas who, during cruise, wanted to talk taildraggers instead of the next Irish bar. Several other women in aviation were past co-workers of mine. They included ladies who had gone on to great jobs at the airlines, one who was about to give it all up when she got the call, and another who is chasing the dream. Other women brought their taildraggers. Among them was one special lady, the daughter of Bob Dalzell. 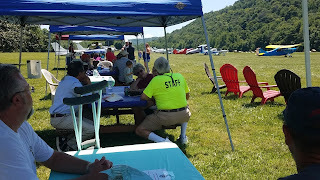 He was a long time attendee of Lee Bottom events, and to have her here carrying on the aviation tradition was a real treat. Others had worked as schedulers, dispatchers, corporate pilots, and more. The list goes on. Ultimately though, their attendance made me realize something. I’ve always been a big supporter of the ladies who were into aviation. However, I never considered how many there really were. 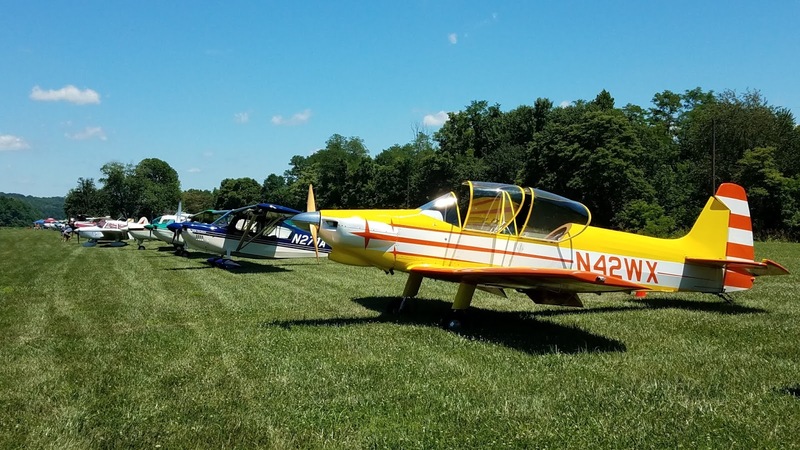 Seeing so many of them on the field, and hearing their aviation stories, made the day a little more special. Thanks again to all of them. 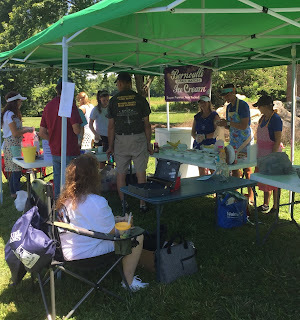 A special note about the ice cream served at July's Sinful Sunday. Bernoulli Small Batch Ice Cream is local to Louisville an has an obvious tie to aviation. Their unique flavors are available at select locations around town. I'm still waiting to try the Maple Bacon. It's always sold out. Maybe they'll be back next year with a pint for me. Click here for more information. 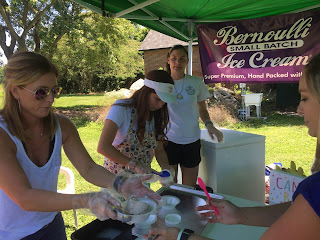 Get a lift out of Bernoulli Small Batch Ice Cream! The Last Sinful Sunday of 2017 - "Slider Sunday"